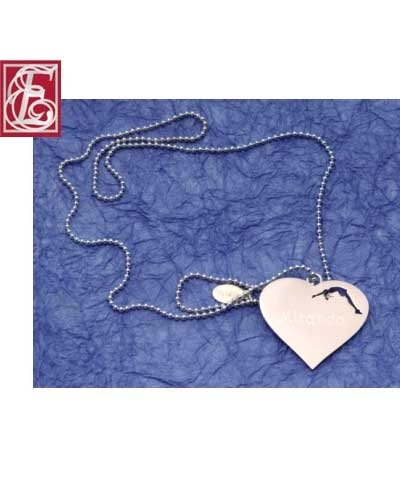 Engraved Cheer Heart Necklace. 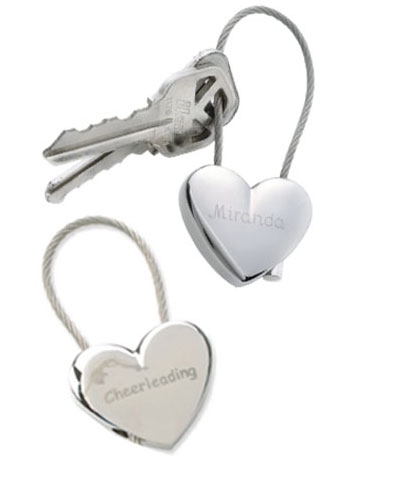 Personalize this beautiful Sterling Silver Plated Cheer Heart necklace. 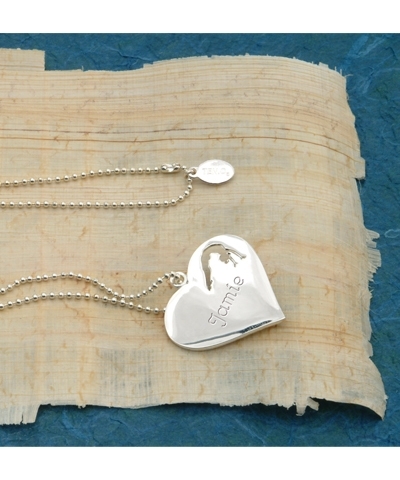 The heart hangs from a 20" ball chain necklace and is gift packaged in fine gossamer drawstring gift bag. Features a silhouetted Cheer Back Handspring. Just give your name and we will do the rest. Enter name in personalized box.